For those who have already completed the academic and pool practice sessions requirements of the certification, (via traditional in-class setting at dive school). This Referral package completes your open water certifying dives. 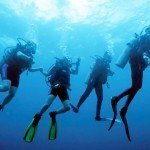 So you can dive into the Caribbean on this two-day course featuring four total Open Water certifying dives along the Barrier Reef, in which skills practiced in confined water (pool training) are carried out in natural dive conditions. Ambergris Divers offers better than your average natural dive conditions, completing this referral course in two half days. 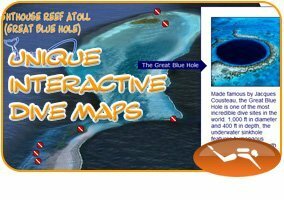 Complete dives 1 & 2 in shallower dive sites along the reef, easier for mastering the set of skills required while enjoying full color and marine life interaction. Dives 3 & 4 are completed during dive tour type settings at dive sites on the fore-reef. This option is perfect if you are vacationing with experienced divers, as they will want to join you on at least these last two dives. Safety Standards & Procedures does not allow all 4 dives to be completed in 1 day only. Students must present original completed copies of referral forms from initiating instructor to validate completion of all classes, tests, and confined water sessions. For PADI Referrals, upon certifying dives, successful completion certification is processed online, and a temporary card will be issued while your original C-Card is mailed directly to your home address. For all other Training Agencies (NAUI, SSI, SDI, YMCA, etc. 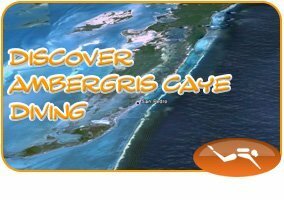 ), Ambergris Divers will complete all relevant referral documents for you to return to your initiating instructor, where certification registration with the respective Training Agency will be finalized. To lots of diving of course! You will now be able to continue the adventure with various Advanced or Specialty course options available through all Scuba Diving Training Agencies.